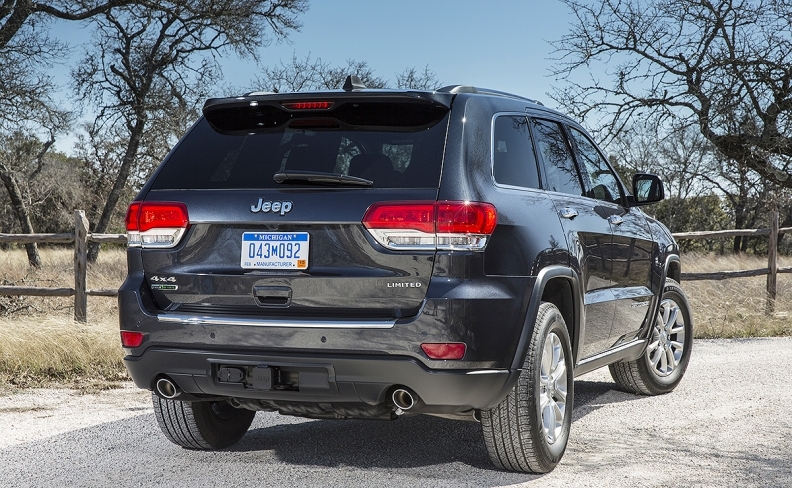 The U.S. EPA says the 2015 Jeep Grand Cherokee EcoDiesel is equipped with illegal diesel emissions control equipment. About 39,000 Fiat Chrysler diesel-powered vehicles in Canada carry the same diesel emissions control equipment that U.S. regulators say has been used illegally on FCA trucks in the United States. FCA made the disclosure in an email to Automotive News Canada on Thursday. The news came just hours after the U.S. Environmental Protection Agency accused Fiat Chrysler Automobiles of failing to disclose use of the software in about 104,000 U.S. pickups and utility vehicles from the past three model years. The EPA stopped short of calling the software in 2014-16 Jeep Grand Cherokee and Ram 1500s a “defeat device” but said the carmaker failed to disclose its use. Canadian regulators are doing their own research and testing. "The United States has not determined whether the software constitutes a defeat device and continues to investigate this matter. Environment and Climate Change Canada (ECCC) is already testing some of these vehicles under its enhanced compliance verification program and will assess the U.S. EPA’s announcement regarding Fiat Chrysler Automobiles to inform next steps in Canada," ECCC spokesman Simon Rivet said in an email. "ECCC’s Enforcement Branch is carefully evaluating the information released by the U.S. EPA to determine its relevance in Canada, and if an investigation is warranted into potential violations of the Canadian Environmental Protection Act, 1999." The EPA and California Air Resources Board told the automaker they believe FCA’s auxiliary emissions control software allowed vehicles to generate illegal levels of pollution. Light-duty model year 2014, 2015 and 2016 Jeep Grand Cherokees and Dodge Ram 1500 trucks with 3.0-litre diesel engines, are affected FCA said in a statement. “These same vehicles are sold in Canada. We will be coordinating with our colleagues at Environment Canada,” EPA spokeswoman Julia P. Valentine told Automotive News Canada in an email. A spokesman at Environment and Climate Change Canada said the government agency is aware of the EPA investigation and would be providing a statement later Thursday. Canadian emissions regulations are based on those set in the United States. "Failing to disclose software that affects emissions in a vehicle’s engine is a serious violation of the law," Cynthia Giles, assistant administrator for EPA’s office of enforcement and compliance assurance, said in a statement. Fiat Chrysler CEO Sergio Marchionne, during a call with journalists, angrily denied the company was cheating. FCA has been in talks with EPA and made significant disclosures of documents, he said. The U.S. Justice Department is investigating, Fiat Chrysler said Thursday. New York Attorney General Eric Schneiderman said in a statement he is "deeply troubled" by the EPA findings and "will investigate the claims against Fiat Chrysler and stands ready to work with our state and federal partners." FCA said in its statement that it “intends to work with the incoming administration to present its case and resolve this matter fairly and equitably and to assure the EPA and FCA US customers that the company's diesel-powered vehicles meet all applicable regulatory requirements." Republican Donald Trump succeeds Democrat Barack Obama on Jan. 20.